The prices of Brarudi products have been increased in Karusi province since the end of last December. The closure of the local Mega SSD would be the root cause. Théodosie Cishahayo is the representative of Mega SSD Karusi. This fifty- year-old widow who says to have lived in Karusi since 1990 says that the governor of Karusi province closed the Mega SSD on 20 December 2018. Mrs. Cishahayo says the charges against her, including the closure of the Mega SSD four times and providing Brarudi drinks outside her supply area are unfounded. “Whenever there is the lack of Brarudi products, I am accused of having provided them elsewhere, which is utterly false”. She says more than 6,000 crates full of drinks are shut up in the Mega SSD in addition to her truck which was seized by the provincial police commissioner since 5 November. Her “crime” would be that she is not a native of this province. “I am from Muramvya province but all my properties are in Karusi province”. She asks the governor of the province to grant her permission to reopen this Mega SSD. “I sought an audience with the governor of the province more than twice to no avail,” she adds. In a correspondence addressed to the Director General of Burundi brewery company-Brarudi on 16 November 2018, Calinie Mbarushimana, Karusi governor asked Brarudi to find a quick and lasting solution to the questions and wishes raised by the sellers of its products concerning the representative of Mega SSD in her province. Mrs. Cishahayo says a certain Aimable, the representative of the sellers at the provincial level would be among those who would like to manage that Mega SSD. In its correspondence of 18 December, Brarudi recognized Théodosie Cishahayo as the representative of Mega SSD Karusi. 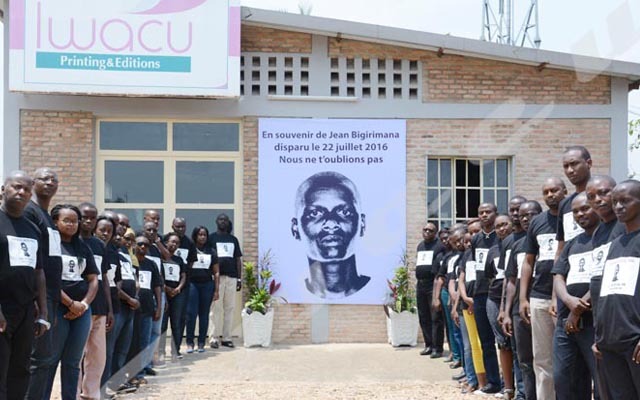 “It is in case of breach of the contract that we can decide whether she is suspended or take other measures,” reads the letter signed by the director of sales at Brarudi “In case of dispute between Mega SSD Karusi and its customers, we ask the latter to come to Brarudi. We are committed to responding to the concerns of anyone who come to us for help”. The Mega SSD Karusi is closed since December 20, 2018. Since Mega SSD Karusi was closed, wholesalers get Brarudi products from the provinces of Gitega and Muyinga. As a result, the prices of these beverages soar and this is worsened by the fact that fuel is scarce these days. In different bars, a soda costs BIF 800, while the price set by Brarudi is BIF 700. Amstel bock is bought at between BIF 1300 and 1500 while its price is BIF 1200. That of Primus 72 cl goes from BIF 1500 to between BIF 1,700 and 1800. Amstel 72 cl officially bought at BIF 1,800 is bought at between BIF 2,000 and 2,200. The workers of this Mega SSD are paying the price. M .S. says his three children have been kicked out of school due to the lack of school fees. “I lived by loading and unloading trucks in this mega. I am no longer able to fulfill my family’s needs and ensure the schooling of my children since the mega was closed,” he sadly says. We tried to get the governor’s reaction in relation to the closure of Mega SSD Karusi. Through Innocent Ntirampeba, her senior adviser, she said she would not express herself on the issue.